At least 40 people have reportedly been killed in an explosion and a series of air strikes across the rebel-held north Syrian province of Idlib. The blast, on Sunday night outside the headquarters of the Islamist rebel faction Ajnad al-Qawqaz in the city of Idlib, left 25 people dead. The cause was not clear but many believed a car bomb was responsible. Activists say another 15 people were killed in Syrian government and Russian air strikes elsewhere on Sunday. The attacks came as the Syrian military announced they had recaptured the strategically important town of Sinjar in south-eastern Idlib. Troops are advancing towards Abu al-Zuhour airbase, about 14km (nine miles) away, which rebels captured when they seized control of most of the province in 2015. The large explosion in the centre of the provincial capital damaged several buildings and destroyed vehicles parked on Thalatheen Street. The Syria Civil Defence, whose rescue workers are known as the White Helmets, says four children and 11 women were among the 25 people killed. The Syrian Observatory for Human Rights, a UK-based monitoring group, put the death toll at 34, including 19 civilians. Other fatalities are believed to have been members of Ajnad al-Qawqaz, it said. 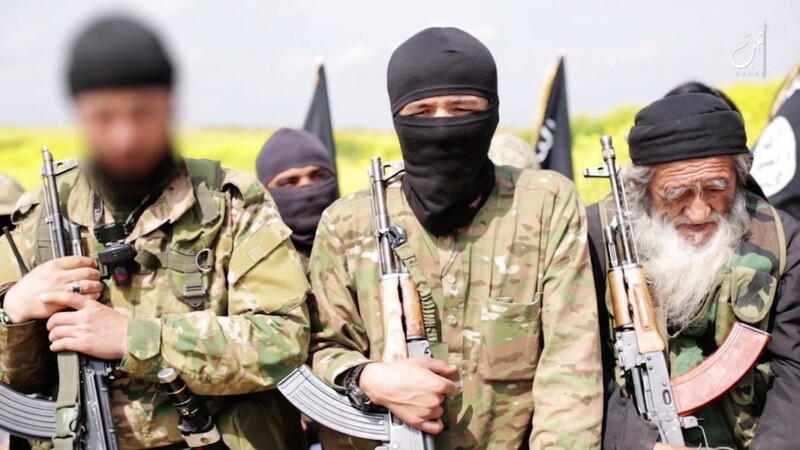 In the rebel faction are many foreign fighters from the Caucasus and Russia and it is allied with Hayat Tahir al-Sham, a jihadist force linked to al-Qaeda. The Syrian Observatory attributed the explosion to a car bomb or drone strike. Air strikes reportedly continued across Idlib on Monday. Jarjanaz was targeted again, along with the town of Saraqeb, the Edlib Media Center says. Idlib, which borders Turkey to the north, is home to an estimated 2.5 million people, including one million who have fled other rebel-held parts of Syria in recent years. The UN says fighting and air strikes inside Idlib have forced more than 60,000 people to leave their homes since 1 November, and that they are in a “dire” situation.